The Key West Conchs finished third place in the Hickory Point Invitational after defeating the FW Bucholz Bobcats 4-2. Down 2-1 at one point in the game, Key West was able to come back and win behind two goals by Bidiue Noel. Noel along with Noah Cutchin were named to the All-Tournament Team at the closing ceremonies. “We were able to pick apart the team and dominate early. Bidiue (Noel) was a huge difference for us. He played a great game on offense. Danny (Kearney) came in and stepped up big and scored too. It was a great win,” said Key West head coach Marc Pierre. The Conchs started the game off fast scoring early. Cutchin made a run down the line past the Bobcats’ defender and passed the ball ahead to Jeremie Tilus. Tilus shot the ball past the Bucholz keeper and gave Key West a 1-0 lead in just the 5th minute. In the 13th minute the Bobcats had an opportunity to score. The Bobcat striker sprinted past Key West defender Jack Behmke. Behmke recovered, but the striker shot. The ball hit the post and the score stood at 1-0. Just minutes later Bucholz appeared to score. The Bobcats’ goal was called back because the side ref called offsides. After water break, Bucholz got on the board. The Bobcats broke through the short-handed Key West back line and scored tying the game at one in the 27th minute. The Conchs defense was missing senior Alex Cabrera who injured his ankle when playing Evans in the semifinals. Right before halftime, the Bobcats scored again after quick passing between the strikers. At half, the Conchs were down one but came out shooting in the second half. In the 47th minute, Bidiue Noel shot from eight yards out but the Bucholz keeper stretched out and made a fantastic stop. Danny Kearney, who returned to Conchs lineup from a hamstring injury, was able to keep the ball inbounds and headed the ball back to Noel. Noel shot the ball past the keeper tieing the game again this time at two goals apiece. After that it was all Key West. Noel sent the ball ahead again to Kearney. Kearney was tripped up as he shot, but the ball found the back of the net giving Key West a critical 3-2 lead in the 57th minute. “I think he (Kearney) was great. He was the one who really put us back in the game and then of course gave us the 3-2 lead. He played really well on defense and I put up him on offense and he scored. Danny had a huge impact on the game,” said Pierre. In the 70th minute, Spencer Hamilton dribbled around the defense and sent a ball down the field. Noel put the ball past the defender, the defender ran through and Noel was one-on-one with the keeper. The junior struck the ball to the back left side scoring his second goal of the game giving Key West a 4-2 lead. In the final minutes of the game, Bucholz tried to score and possibly come back. Behmke was called for pushing the Bobcats’ striker in the box and Bucholz was given a penalty kick. The shot went right and Jacob Elomina dove for the ball making an incredible save. The final score stood at 4-2 and Key West would finish 3rd place in the Hickory Point Invitational. “It was a good game. I thought most of our energy was used when playing Osceola in the semifinals the night before when we lost 4-3. Three of my players got hurt so we were short. We made a couple of mistakes, but those guys on the other side are very good,” said Bucholz head coach Andrew Aulick. The Conchs only loss in the tournament was to Evans in the semifinals the night before 4-0. Evans went on to play Osceola in the championship game. 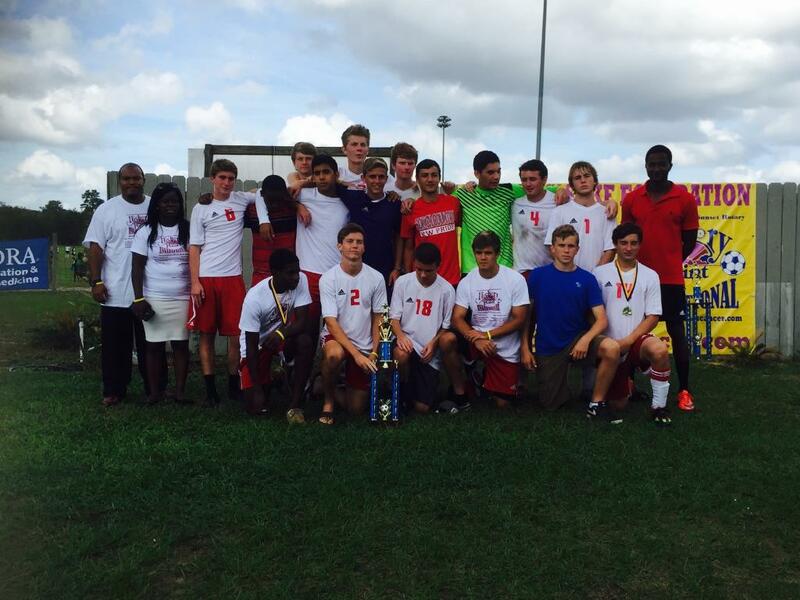 Evans won the the whole tournament last year and repeated this year by defeating Osceola 5-2 in the finals. Although Key West didn’t reach the finals, Pierre seemed very happy with the result of third place. “I think it’s great. To finish 3rd out of 16 really good teams is awesome. A lot of people here have actually realized that Key West has a good team. They didn’t know anything about us and what we were capable of. Overall I am happy about the result,” said Pierre. 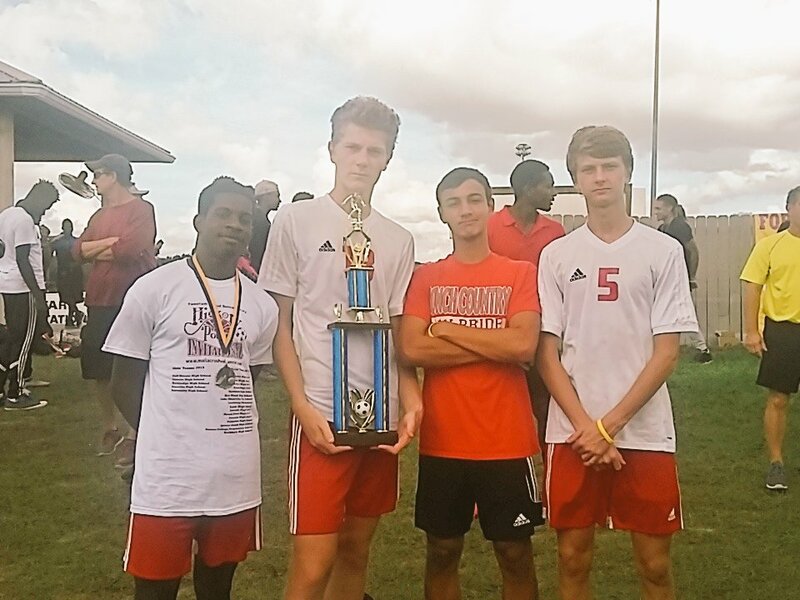 The Conchs now return home from the Hickory Point Invitational with a third place trophy and a new sense of confidence as they defeated and played against some of best teams in Florida. Out of 15 teams, two were FHSAA state champions from last year, and one was unheard of. The unheard team made sure that teams knew who they were and that team was Key West. “I am very happy about it. The goal was to go and compete with some really good teams. We reached the semifinals and lost, but no one expected us to get there. I am happy with the 3rd place result of this tournament and I am proud of my boys,” said Pierre.